We can collaborate and work in teams in virtual worlds. Here I have collected some articles about teamwork, group functioning, and the special aspects of collaboration in virtual worlds. We are used to working with other people in the world of work (after we get out of school). In the past that meant getting people together in a room. In the virtual world, we can get together in a virtual room. That kind of collaboration is cheaper, faster, better, if we know how to do it. But we never got Collaboration 101 in college. It wasn't offered, although a few places, used like engineering and business, and computer science taught it as part of the standard practice in their fields. Virtual worlds are naturally suited to collaboration and practice in collaboration skills. 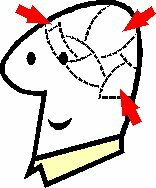 Here are some articles about how to develop and use these skills. Building communities in virtual worlds. Common interests, easy communication. This week the Short Poetry Workshop presents the French Lai, which is a 13th century French poetry form. It has 9 lines and two rhyme schemes and deals with tales of adventure and romance. How will web-worlds from OpenSim start? A path is emerging that will probably lead to the appearance of some OpenSim worlds on the web in the form of miniworlds. These will be limited in capability, objects, and size. These will be rather like reception rooms where people can see what we have to offer and can talk with some of us about why they would want to go to the trouble of coming into the metaverse. This is virtual worlds lite-- very lite. It is for those people still back in the old, flat, browser world. Millions of people there, but you don't see any of them on a webpage. Easy to get to a page, but you are mostly a passive observer. Those browser people don't know that we can add doors to other worlds. But look at it it from the viewpoint of people who think the browser world is flat. Follow the above link for more videos on this topic. Do our virtual worlds help prepare us for the future? Did our imagining of the future help prepare us for virtual worlds? If the future is not real, is it virtual? A Kitely Metaverse Tour - Pandora IV. We tour a snow-covered island in Kitely, OpenSimulator. And Wwanderer made a video. In virtual worlds we have, not just a photographic memory, but a videographic memory, too. And we can project our videpgraphic memory around the world on social media. 2017 TKR: EDU: The key to remembering is to pay attention to what you want to remember. Can you remember that? to what you want to remember. Yeah. It really is that simple. Well, once you know what you want to remember, there are some tricks to make sure you remember details. But you can't use them unless you know what you need to use them for. What you need is habits to make that memory system work for you. The habits are easy, too. You just have to remember to do them at the right time. 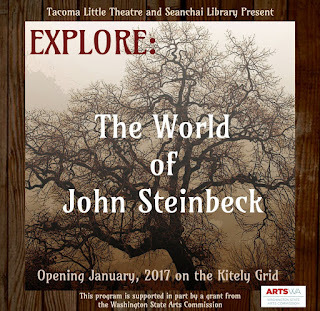 Explore: The World of John Steinbeck: the third collaboration between Tacoma Little Theatre (a 98 year-old theatre company) and Seanchai Library (an 8 year-old online spoken word library), expanding opportunities for audience members and educators to delve into the thoughts behind the play. 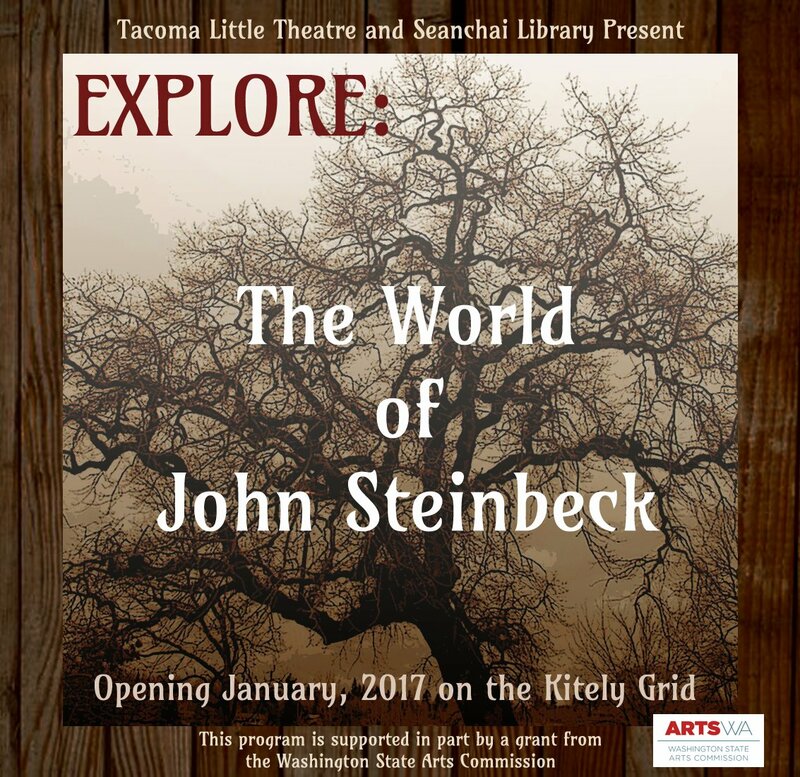 The Kitely Grid & Tacoma, WA – Tacoma Little Theatre's latest production: John Steinbeck's Of Mice and Men. And the pixels click to life for the newest partnership between Tacoma Little Theatre and Seanchai Library with the opening of Explore: The World of John Steinbeck. Put the hop in the nav bar of Firestorm, enter. The Short Poetry Workshop this week revisits the 6th Century Malaysian form - the Pantoum, which is a series of quatrains with repeated lines. It can be rhymed or unrhymed but must make use of repeated refrains from one quatrain to the next. So join us to learn, write and share your Pantoum. Seanchai library: Space and history. Metaverse Tours visited two regions of the Seanchai library in Kitely: Space World and Explore. Explore was about the Great Gatsby and the 1920's. Here's a video by Wwanderer about these worlds. Previous article about "The Great Gatsby"
Firestorm hop (works in Kitely). Paste the hop into the address bar of Firestorm, enter. Paste HG address into the Find bar of the World Map, click Find, TP. You may have to join a group to get access to some worlds. WebGL, WebGL frameworks, and BabylonJS. Babylon.js is being used to put virtual worlds in a browser. Here are are web resources to get up to speed on Babylon.js. Go here for best demo Cybalounge updated: now with voice! We know that voice was off here. It may work now for people whose page loads in https. Go here for best demo of voice Cybalounge updated: now with voice! If you are on Chrome, you can enlarge the picture. Click the vertical row of buttons at upper right. To move fast and not scroll, hold down the shift key and press the up arrow. Sailing the virtual seas is not as much fun as sailing the wet ones. But the virtual seas are as near as your computer. But a virtual boat costs only a few dollars and requires no upkeep. Kayaker Magic makes sailboats that fit those strange terms that sailing fans use. A bit of virtual sailing might be of interest to people who have limited access to wet-water sailing. Hud= "Head-up" display. A head-up display or heads-up display,also known as a HUD, is any transparent display that presents data without requiring users to look away from their usual viewpoints. In virtual worlds, the HUD appears on the screen with information about the local world and often with controls that you can use to take action about what you see.